The area’s largest College Fair will be held Thursday, April 4th from 4pm to 8pm at The Webster Bank Arena in Bridgeport. The Fair will give high school students the opportunity to see over 200 colleges, universities and Gap year programs from throughout the county all in one day. Admission is free and the event is open to the public. 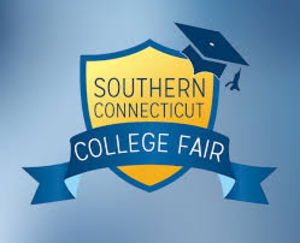 The Southern Connecticut College Fair is the combined effort of Fairfield Ludlow, Fairfield Warde, Fairfield Prep, Central High, Bassick High, Trumbull High, Fairchild Wheeler Magnet, Harding High, Ansonia High, Joel Barlow, Stratford High, Laurelton Hall, Bunnell High, Hamden High. The goal is to provide a community-wide event so area students can see and learn about colleges and the college selection process. “We are happy to bring this event to Bridgeport. With over 200 colleges, universities and gap year programs, the event will surely be the area’s biggest college expo. It’s a great opportunity for students and families to meet and talk to college admissions officers. The goal is for students see both colleges they are interested in as well as have the chance to learn about new ones.” Says organizer Andy Alcosser of Connoisseur Media. In addition to the 200 colleges that will be on hand, the event also features speakers who will highlight some of the major considerations in the college selection process. Speakers will Chris Piane, Regional Director of the Princeton Review who will lead a discussion entitled: Getting into the College of Your Dream. This will be followed by Katherine Stievater, Founder of Gap Year Solutions who will discuss the benefits and how to plan for a successful Gap Year. More information about the Southern Connecticut College fair is at www.ctcollegefair.com.